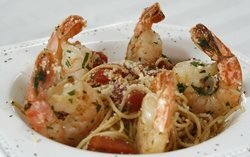 Angel Hair Pasta recipes that are diabetic-friendly, including Angel Hair With Spicy Shrimp and Lemony Angel Hair Toss. 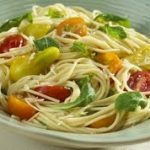 Angel Hair Pasta is a thin, long pasta which is also called Capellini Pasta. Some brands also use the name thin spaghetti instead. 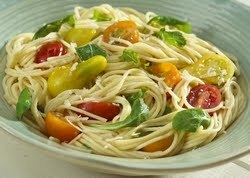 Angel hair pasta requires less time to cook, so you must follow cooking directions to avoid over cooking it. Recipe for Angel Hair With Spicy Shrimp from our Main Course recipe section.